Merino wool scarf perfect for cold fall. 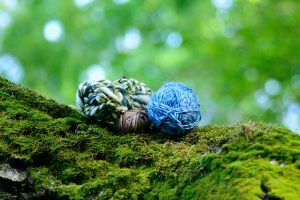 It is soft, comfortable, nice in touch and breathable – all that you expect from autumn accessory. 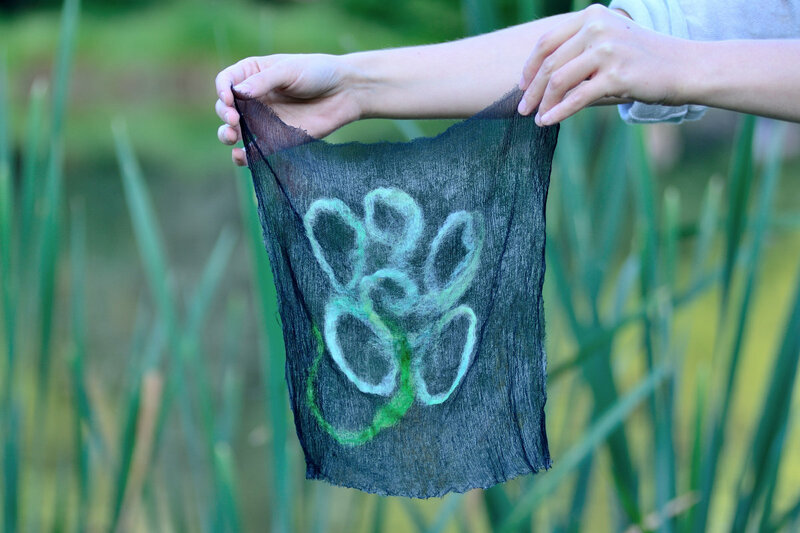 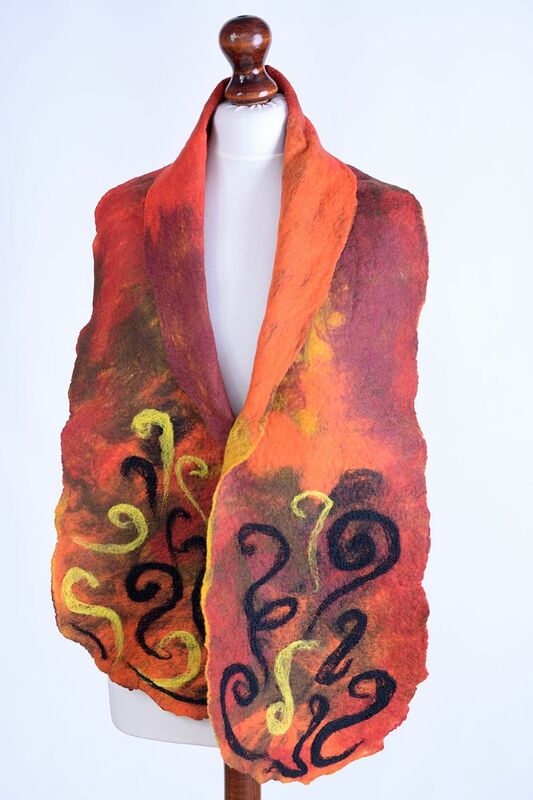 This merino wool scarf is one of a kind handicraft. 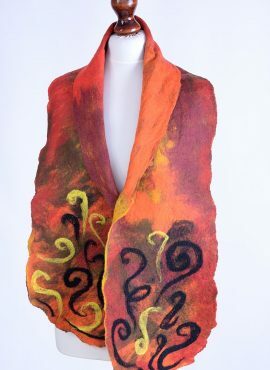 I created it in wet felting technique and decorated it with fancy pattern on its both ends, using special felting needle. 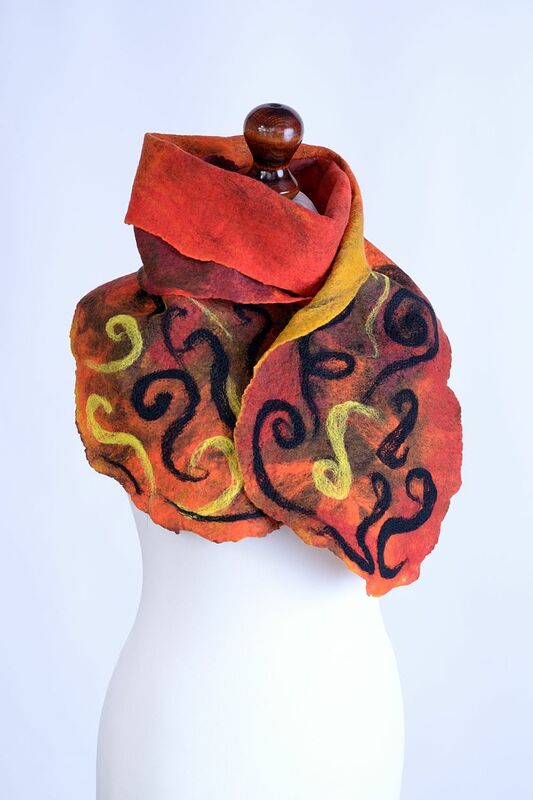 The pattern is a metaphor of flames, so if you are an exuberant woman and feel the fire inside you, this artisan scarf may be perfect for you. 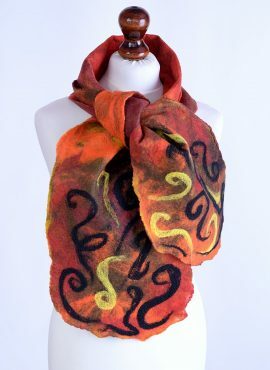 This felt scarf is soft and comfortable. 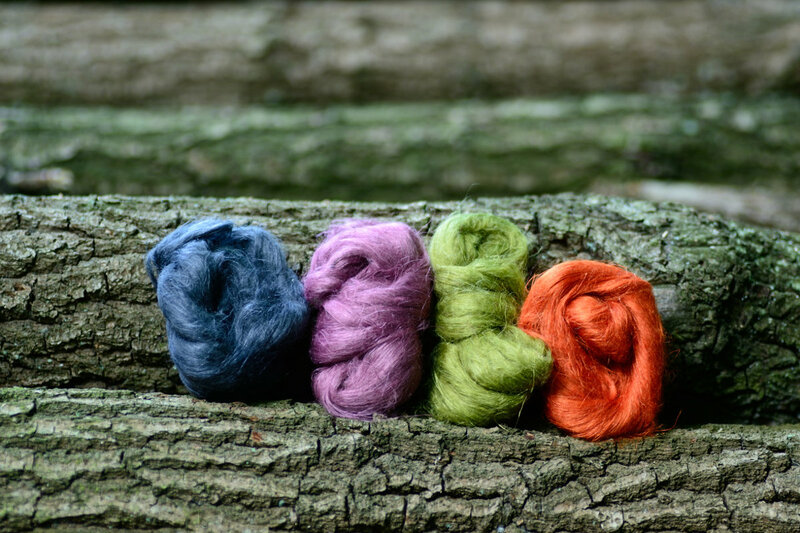 Thanks to superfine merino wool it is also breathable and nice in touch. 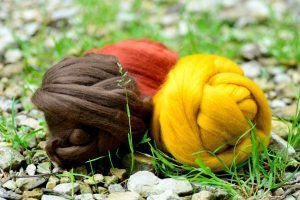 It is perfect for cold fall but can be also used during winter months. 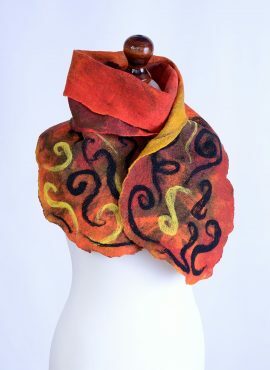 You can wear it with many autumn clothes (e.g. 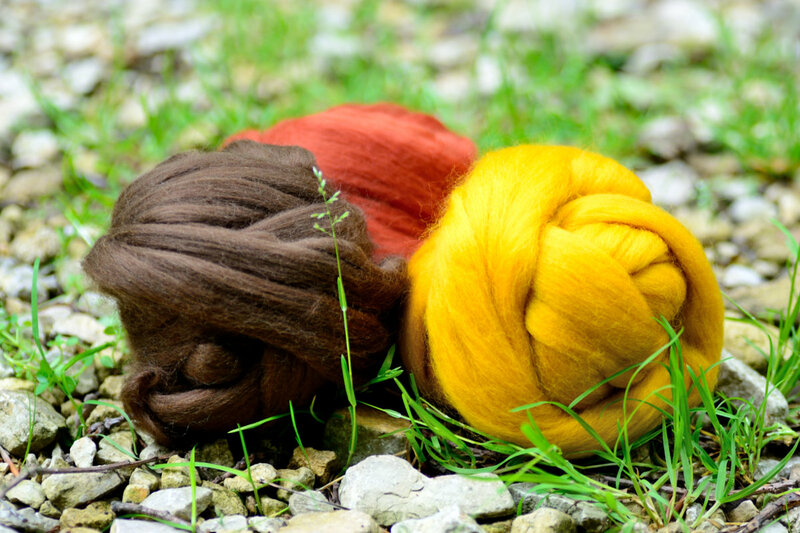 coats, sweaters, jackets) and every time it will give your outfit a special touch. 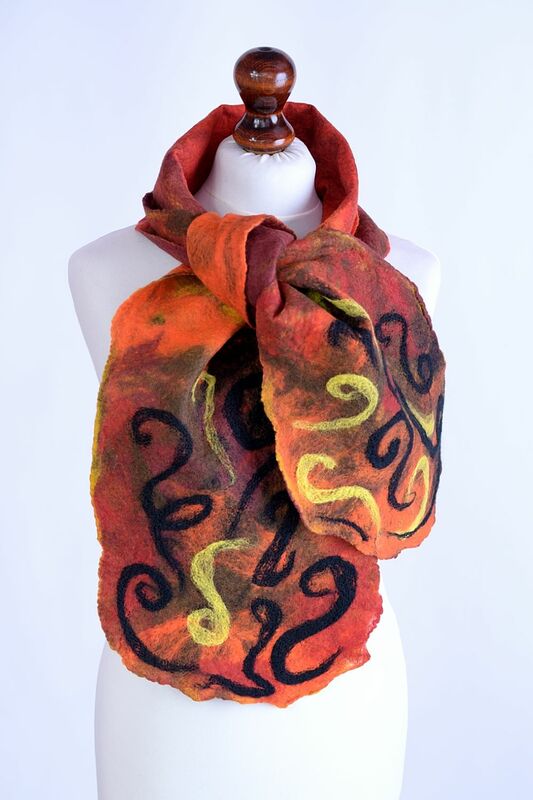 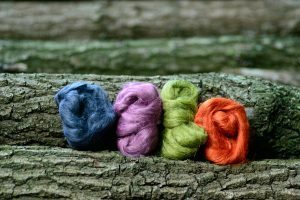 If you love handmade accessories and like the colors of this merino wool scarf, it will be your best choice. 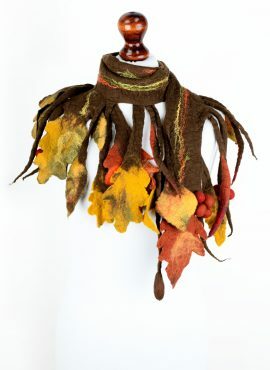 Chestnut scarf for women and men who love woodland style. 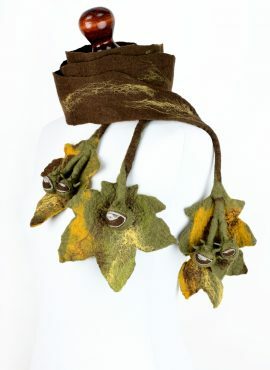 With felted leaves and chestnuts it is perfect accessory for autumn. 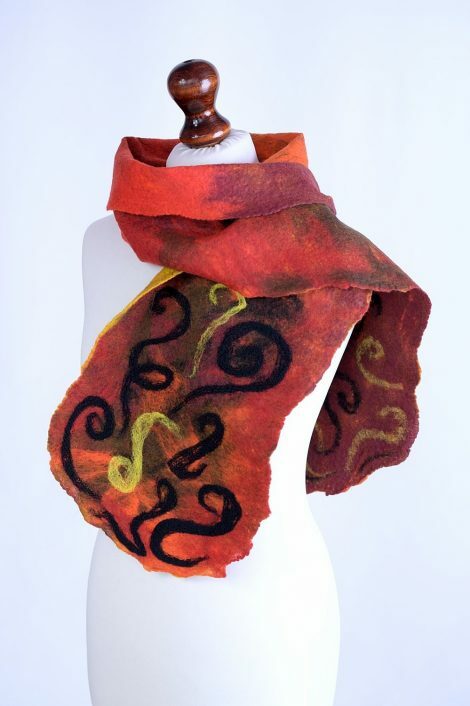 One of a kind brown nuno felt wrap perfect for fall. 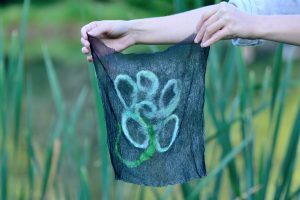 It is really large, has unique leaf shape and is made of natural materials.